The 2019 Kia Sportage is a popular compact offered in three trim configurations: Sportage LX, EX, and SX Turbo. Whether you opt for the entry-level LX or SX Turbo, you can expect features like a rearview camera, available smartphone integration, and cargo space of up to 60.1 cubic feet. Families on the hunt for a Kia Sportage for sale near Los Angeles will find everything they are seeking and more in our inventory. Browse our vast selection below, and get a jump-start on the financing process today! If you’re in the market for an affordable SUV near Cerritos that still offers the luxury and convenience you have your heart set on, contact us today. 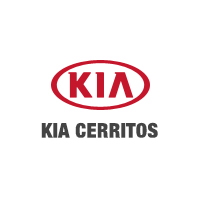 The team at Kia Cerritos is prepared to walk you through all your options for Sportage trims, financing, and more.